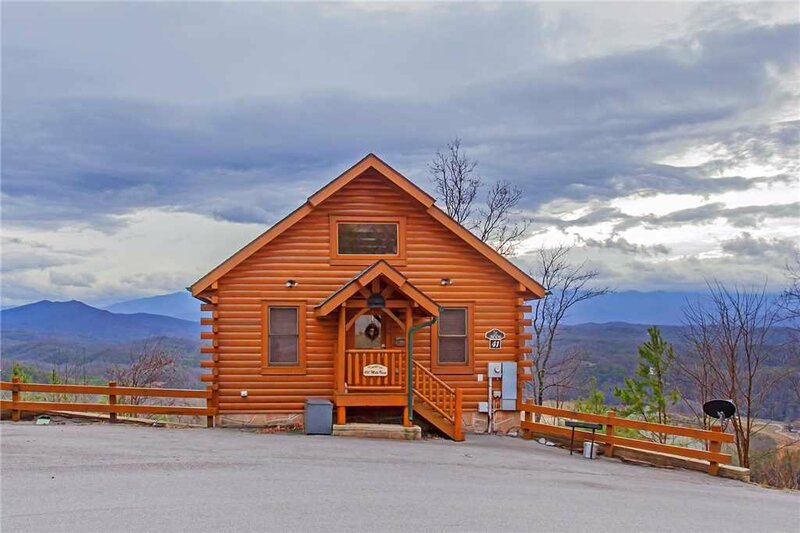 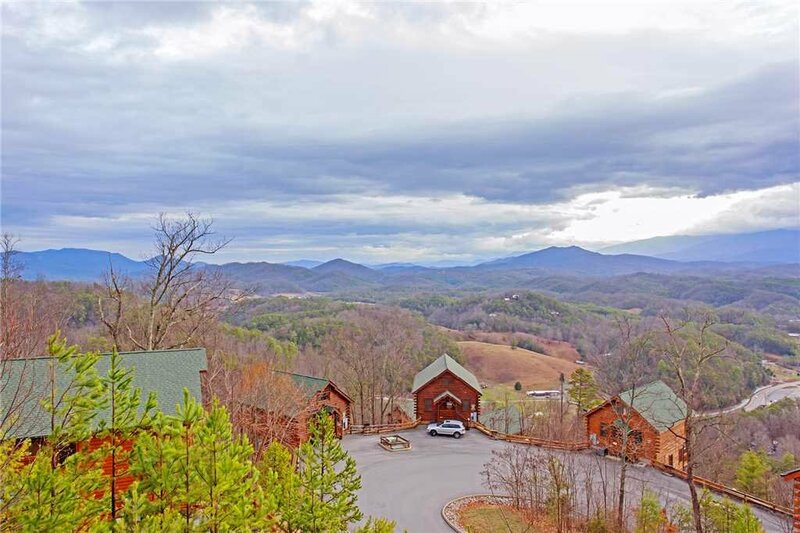 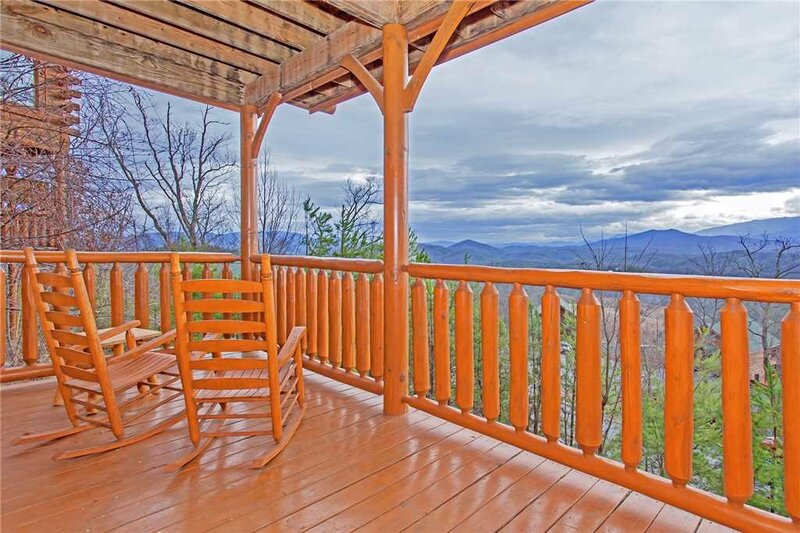 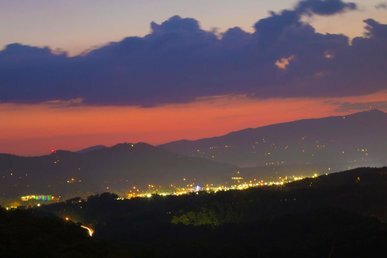 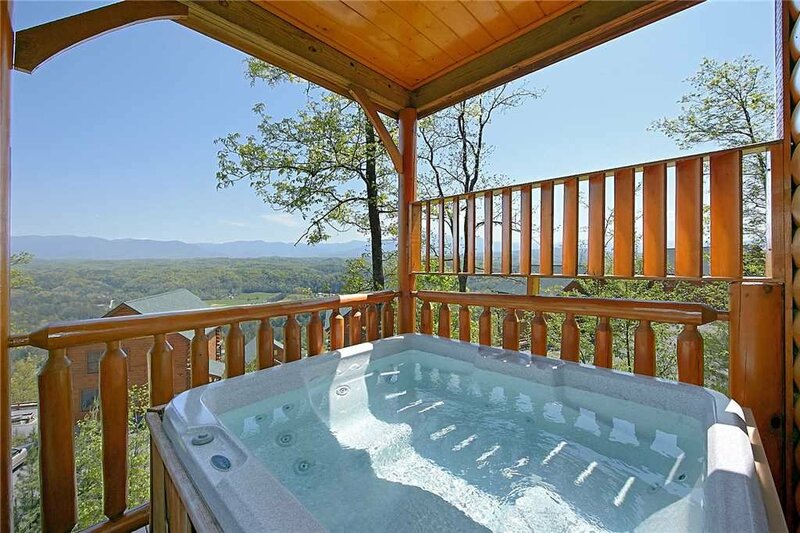 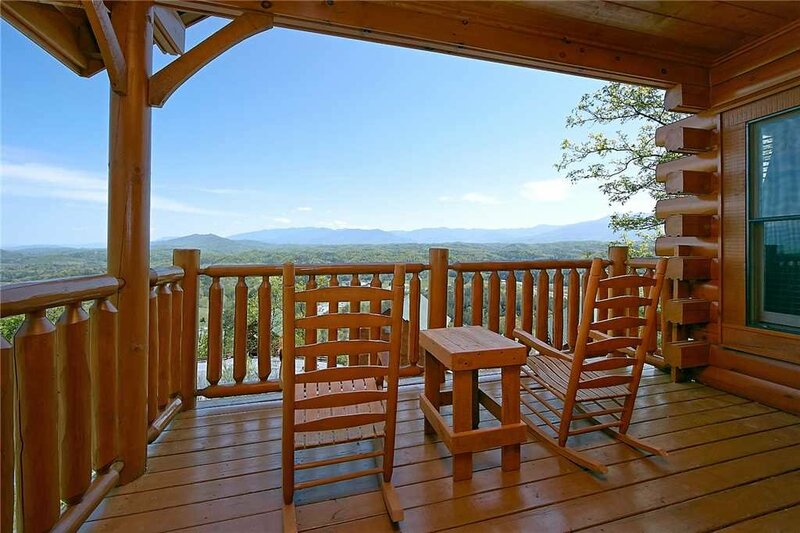 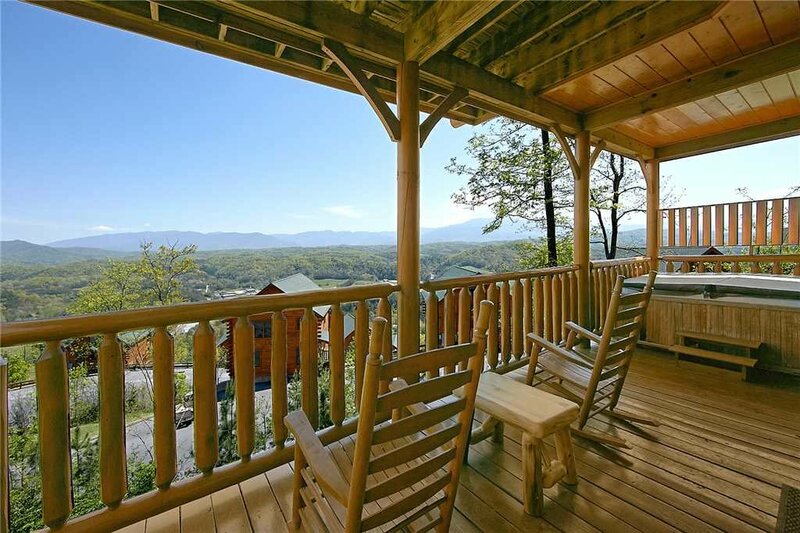 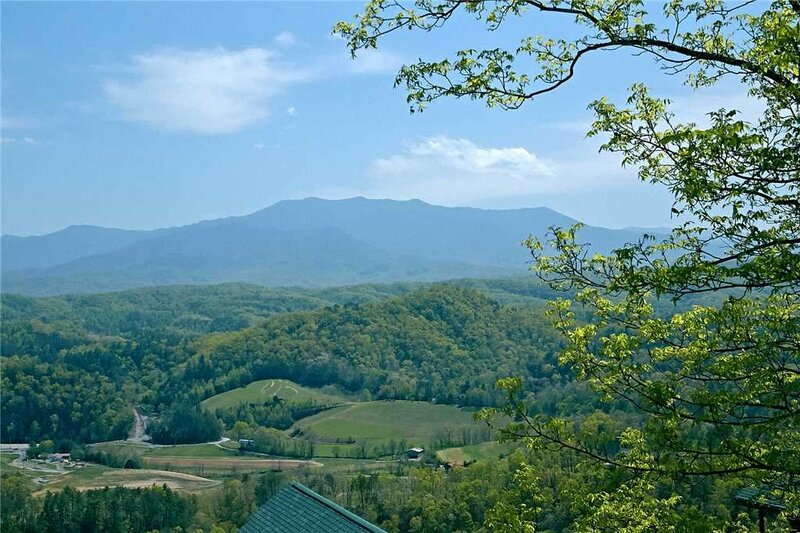 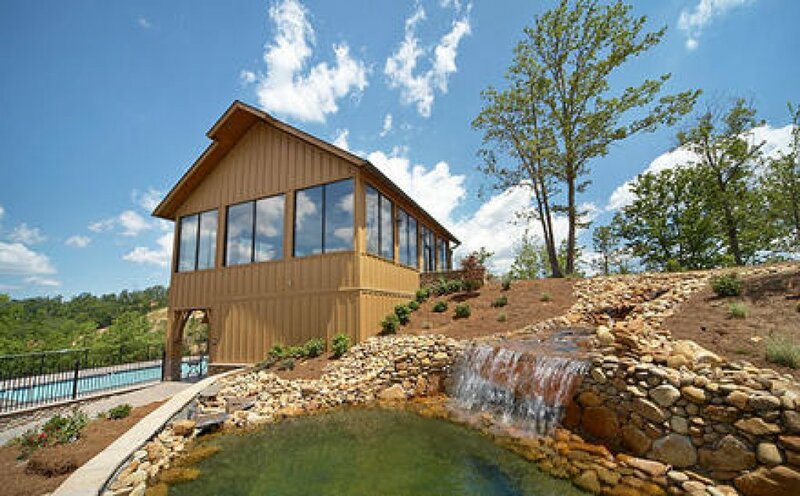 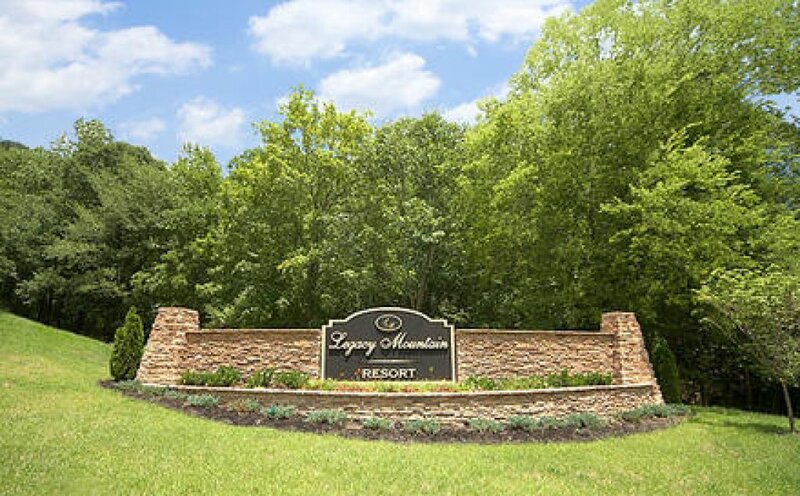 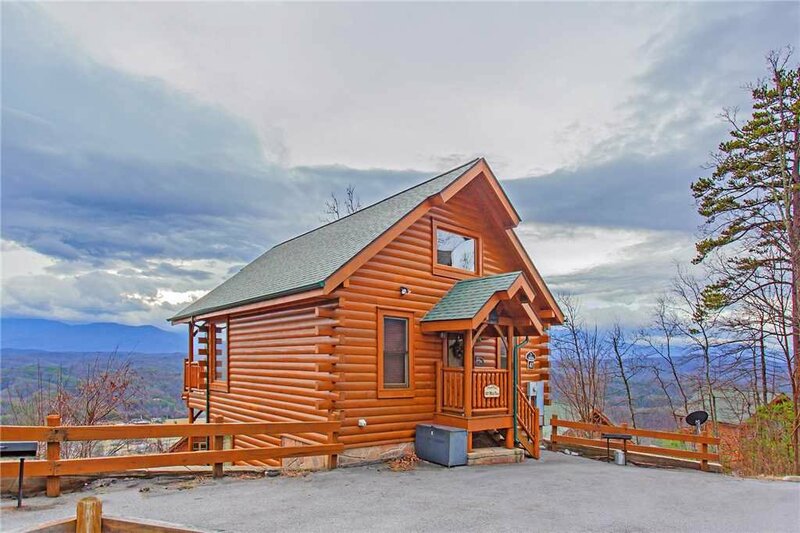 100 Mile view is located in the Legacy Mountain Resort just minutes to Dollywood, Pigeon Forge, and all that the beautiful Smoky Mountains have to offer. 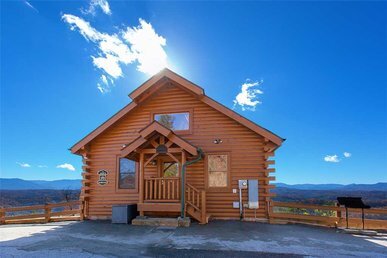 The cabin has one master bedroom with a private bathroom on the lower level and one bathroom and queen size sofa bed on the main level. 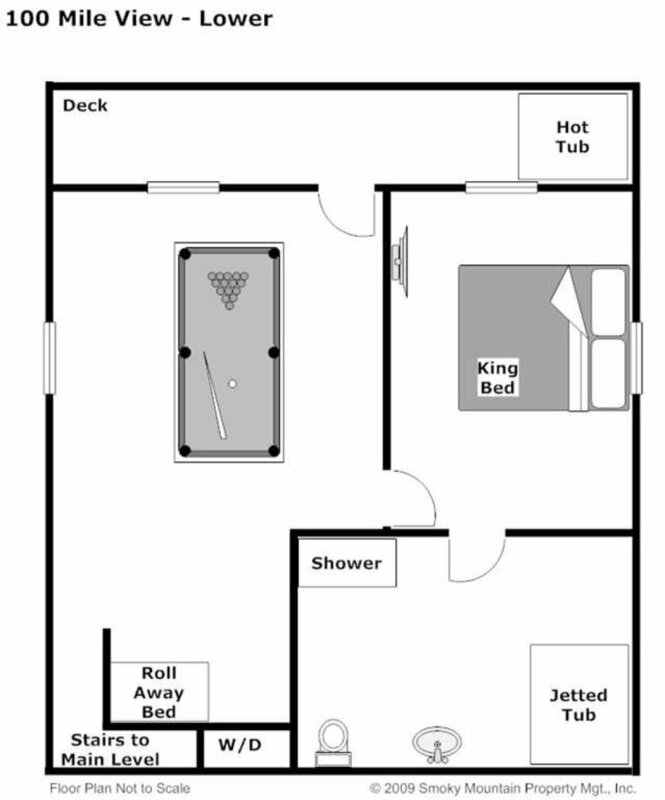 100 Mile View sleeps up to four people comfortably with a king size bed in the bedroom and a queen sofa bed in the living room. 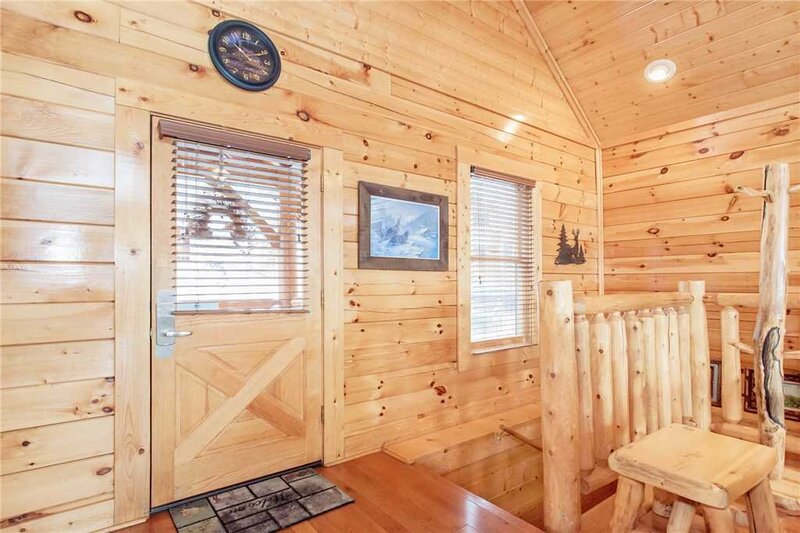 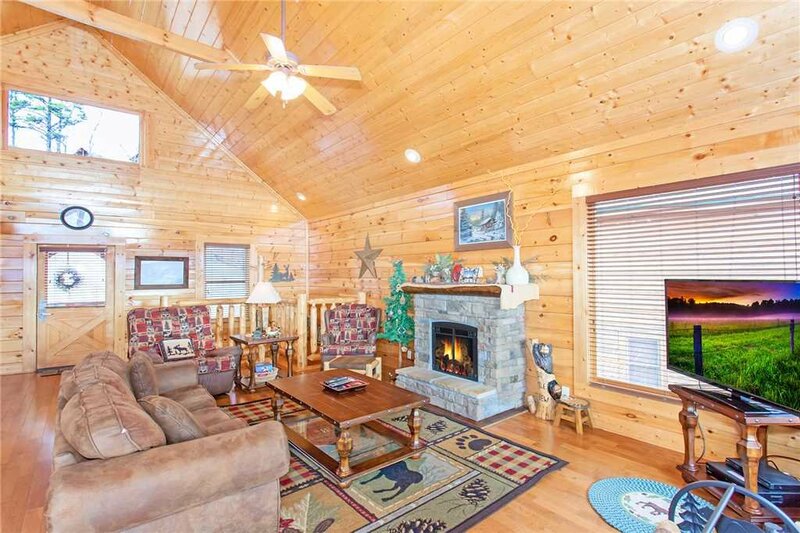 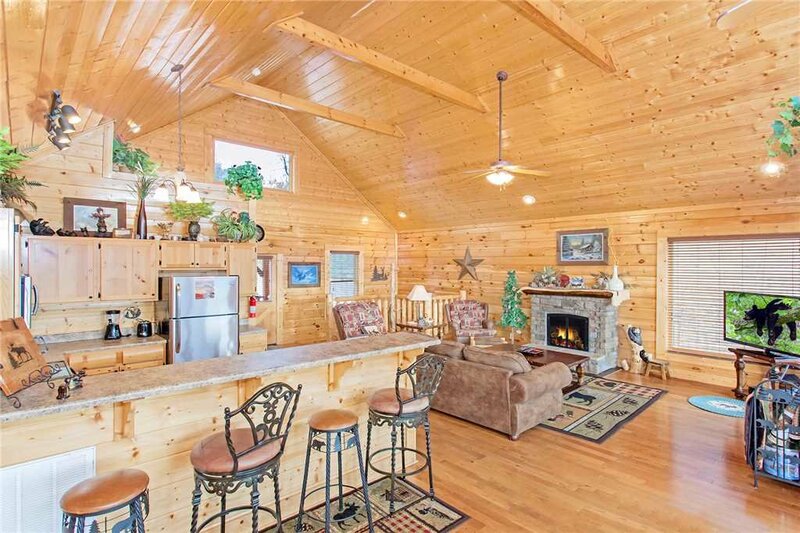 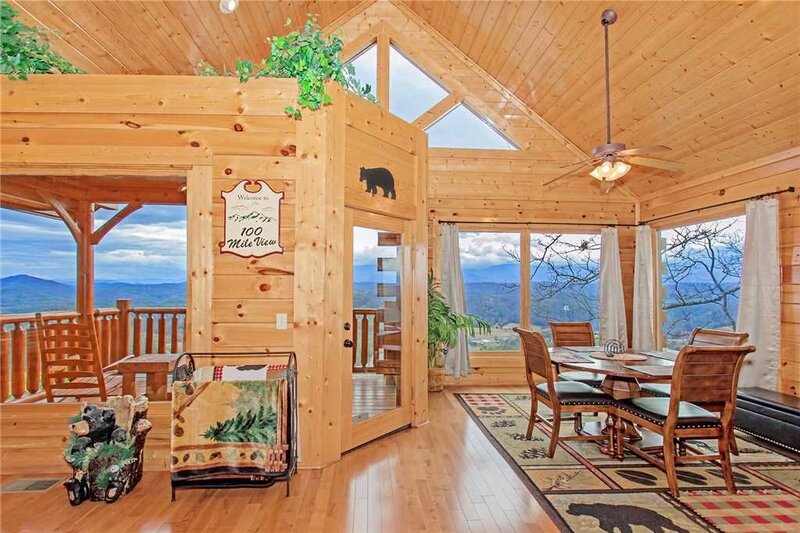 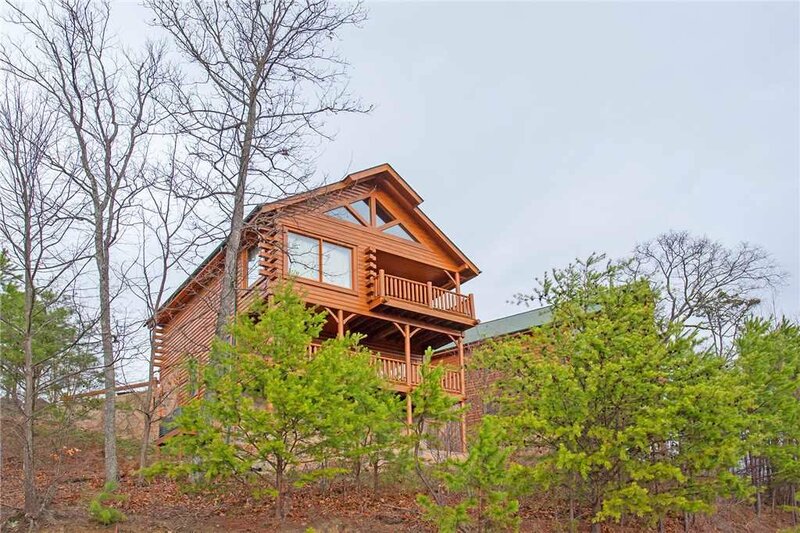 This cabin has large picture windows to allow you to take advantage of the amazing views while relaxing in rustic elegance. 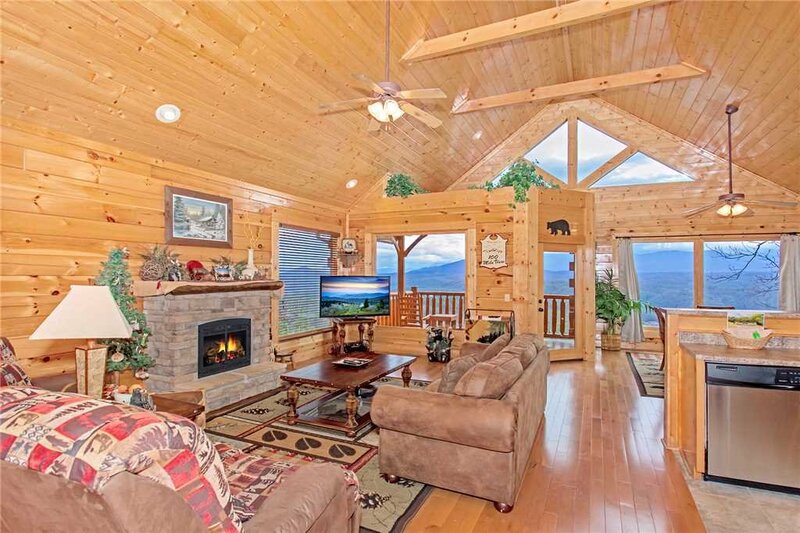 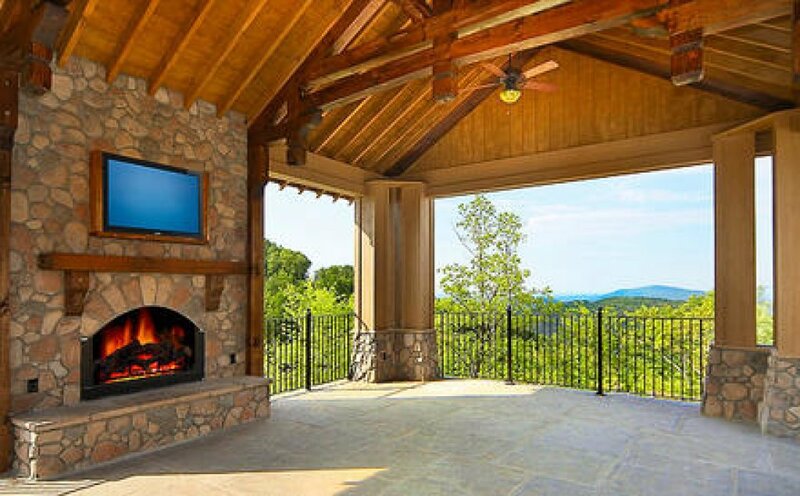 When you walk in the door of this mountain getaway, you enter into the main living area and can immediately appreciate the expansive mountain views. 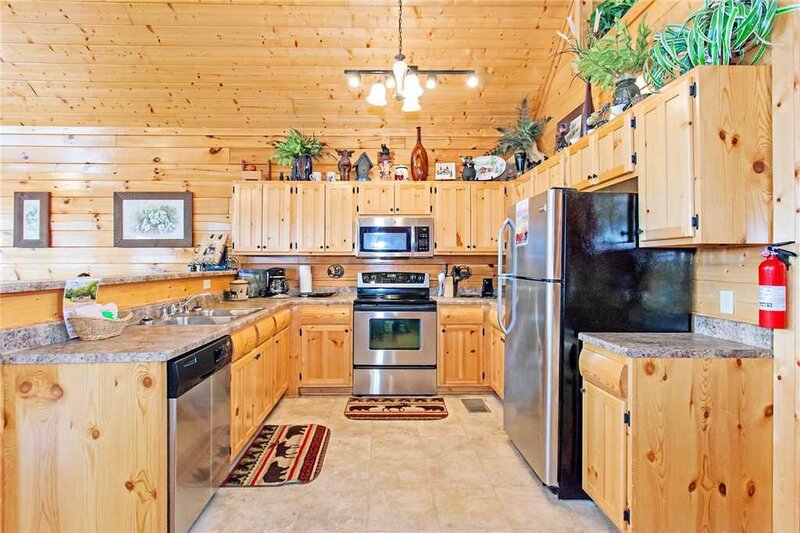 You will also see the fully-equipped kitchen with modern stainless steel appliances, perfect for preparing meals and memories. 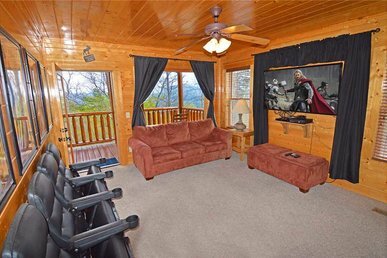 The living room invites you to relax on the comfortable couch and two recliners that are just right for gathering around the stone fireplace and watching your favorite show on the cable television. 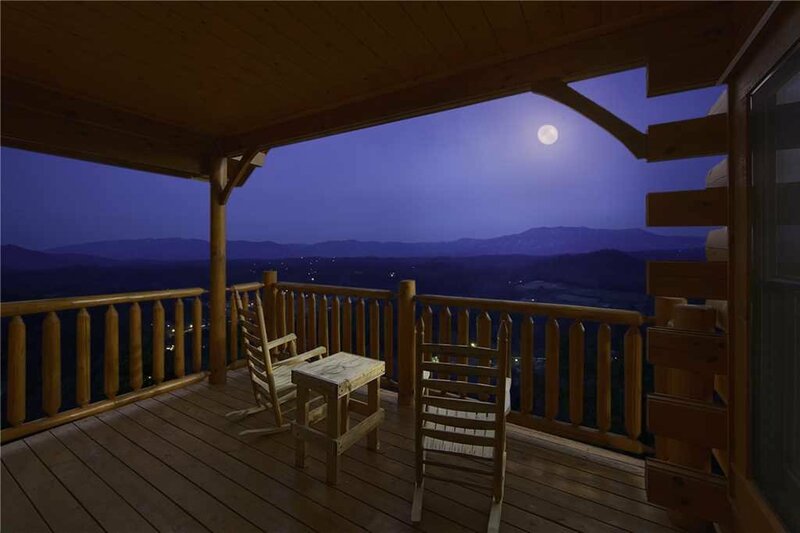 This level includes a dining area where you can sit and enjoy your meals while overlooking the mountainside. 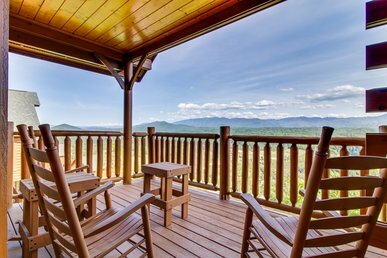 There is a covered deck off this main level complete with rocking chairs where you can relax and rejuvenate. 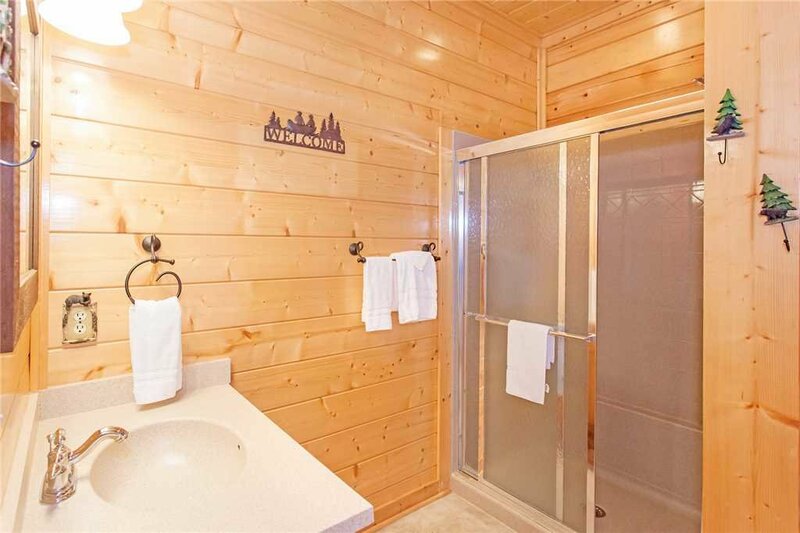 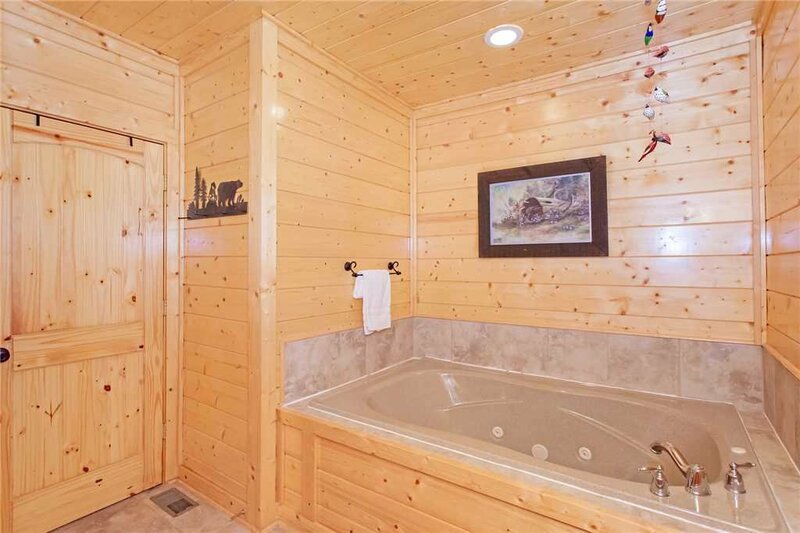 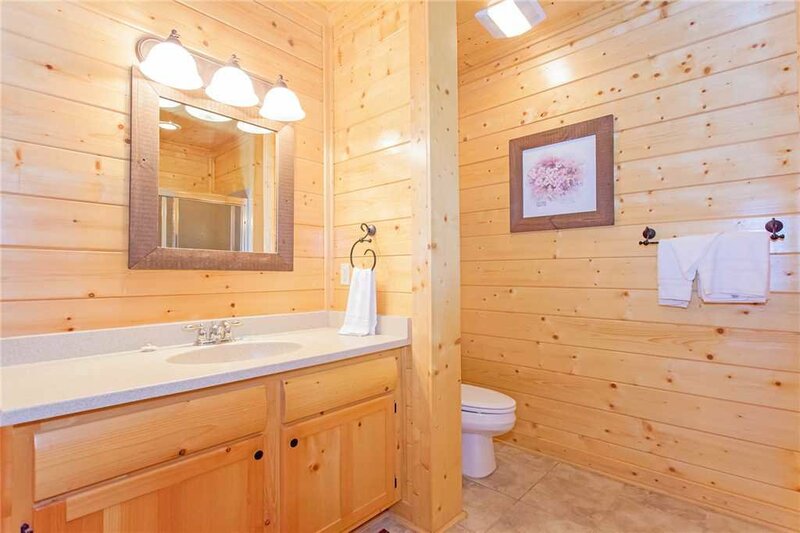 The main level also includes a full bathroom with a shower. 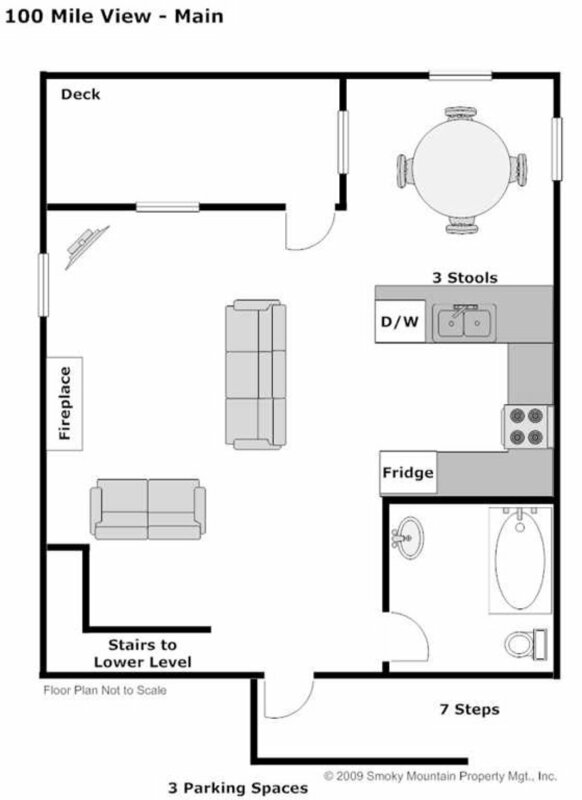 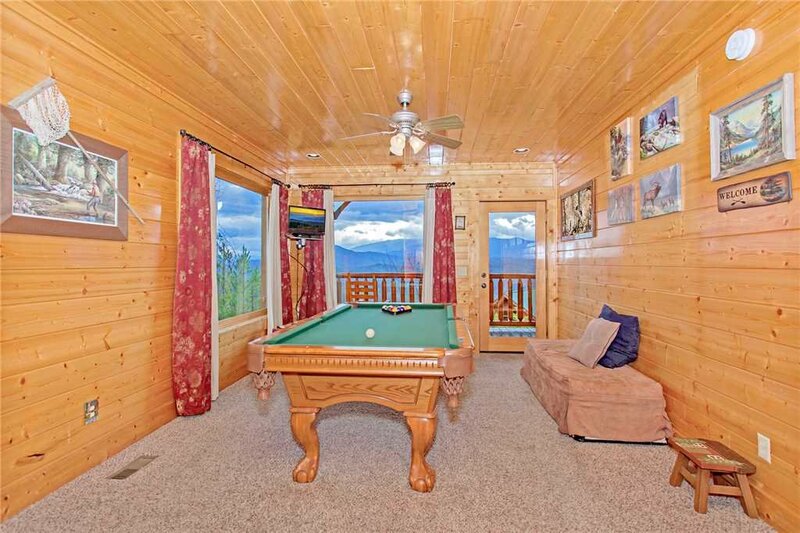 The lower level features a pool table, flat screen TV, and more picture windows to frame the view. 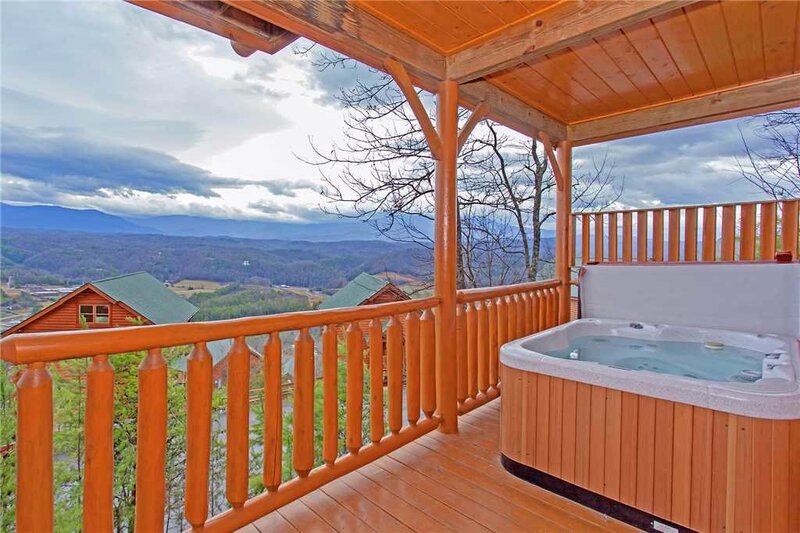 There is a second covered deck on this level with a private hot tub and rocking chairs. 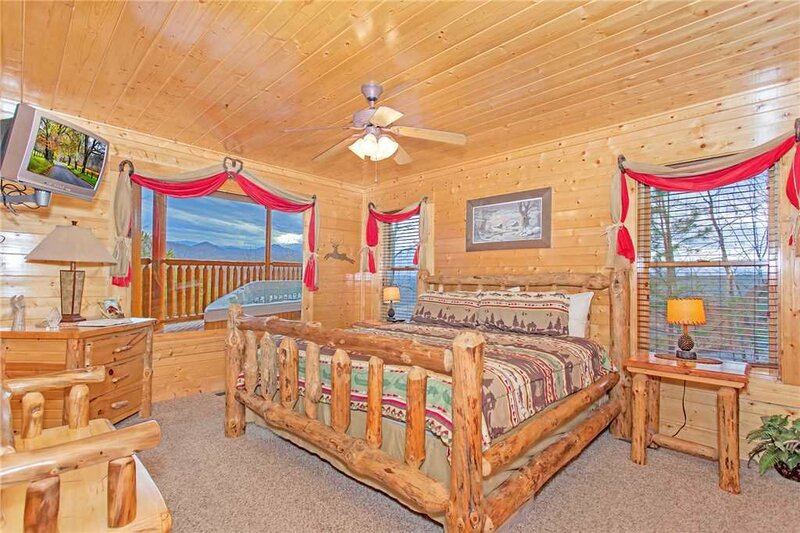 The master bedroom is located on this floor with a large log king bed with a deep pocket mattress, cozy rustic furnishings and a TV. 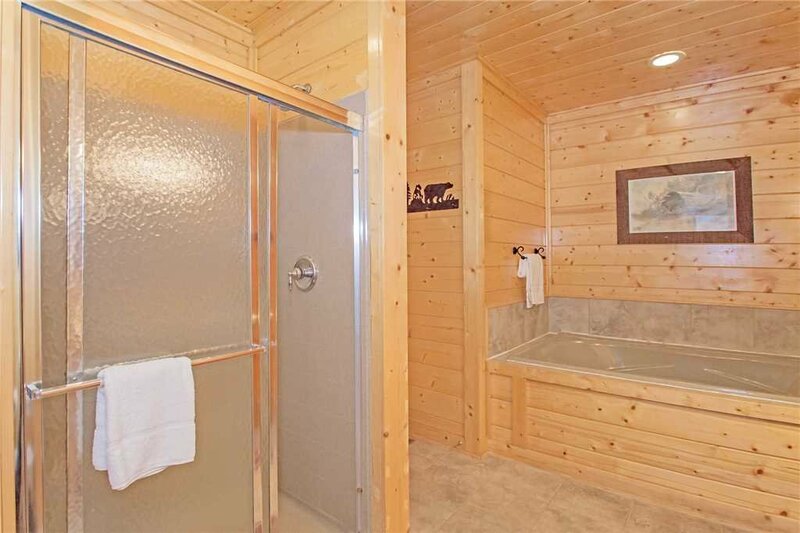 Off the master bedroom, is a full bathroom where you soak away your stress in the jetted tub or wash off the worries of the day in the shower-stall. 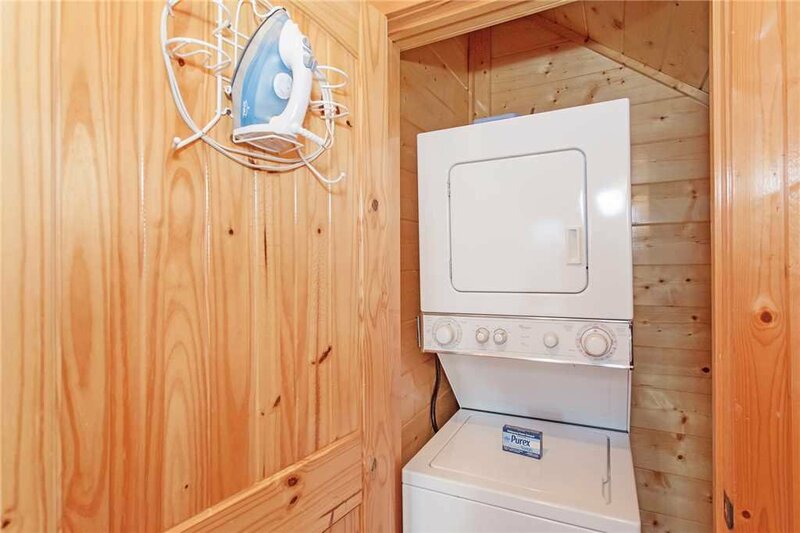 Other amenities include board games, and a washer/dryer combo. 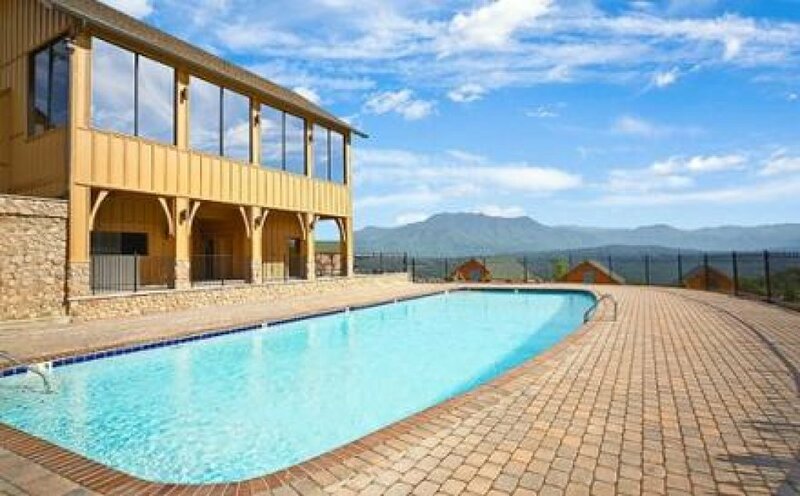 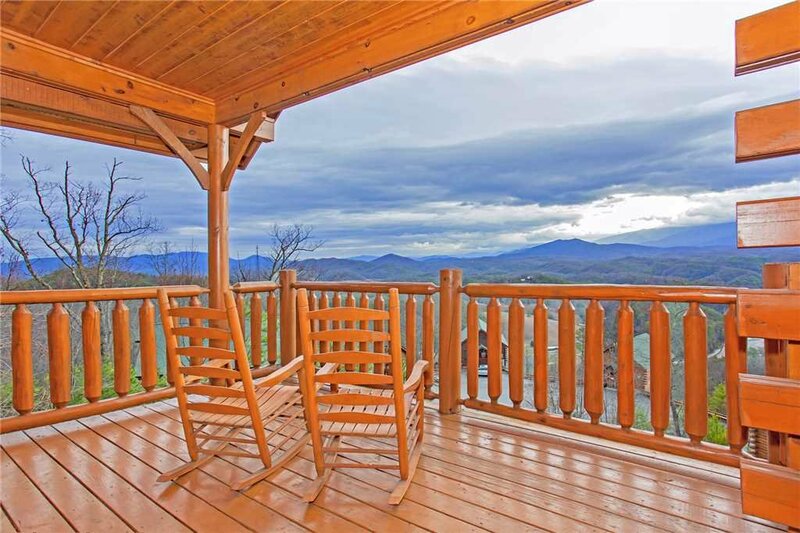 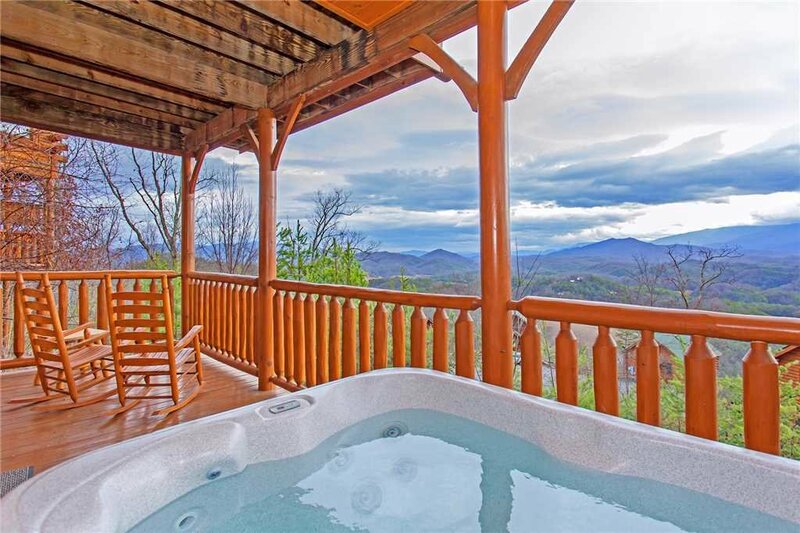 Beautiful mountain views and a touch of luxury, along with an incredible location makes 100 Mile View the perfect vacation rental for you. 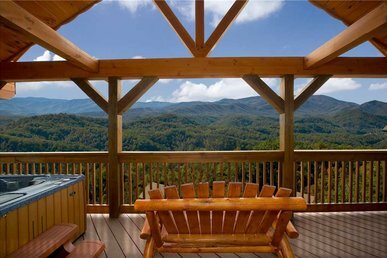 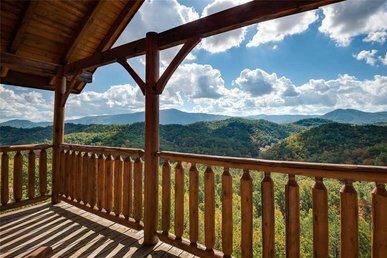 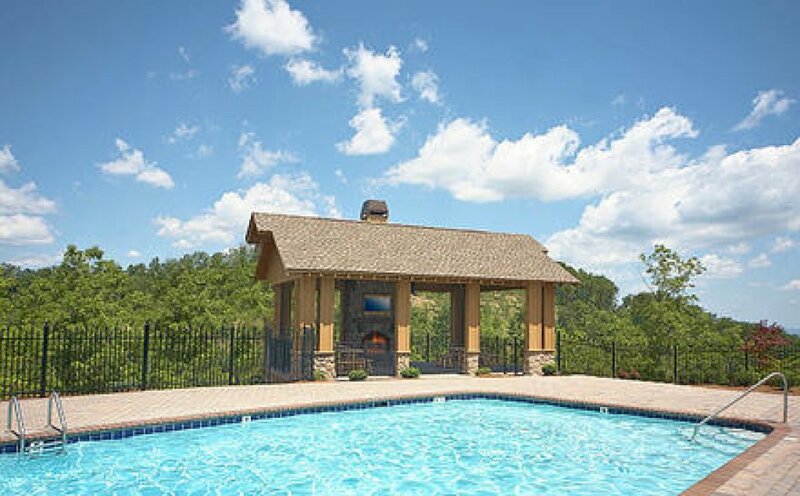 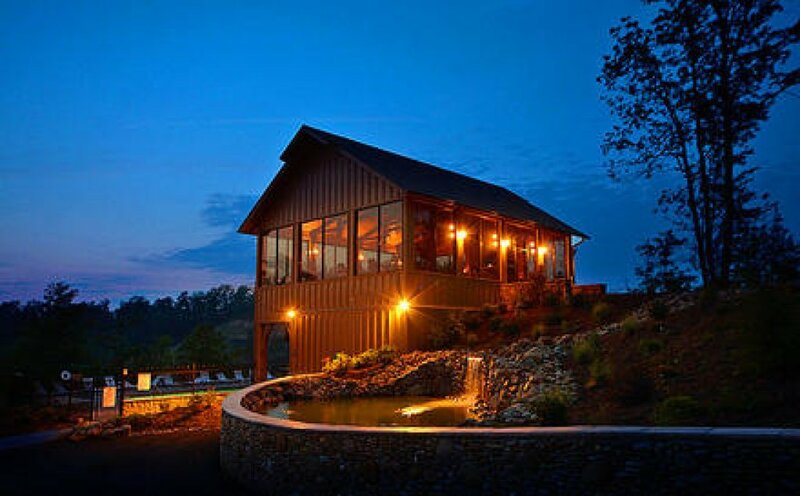 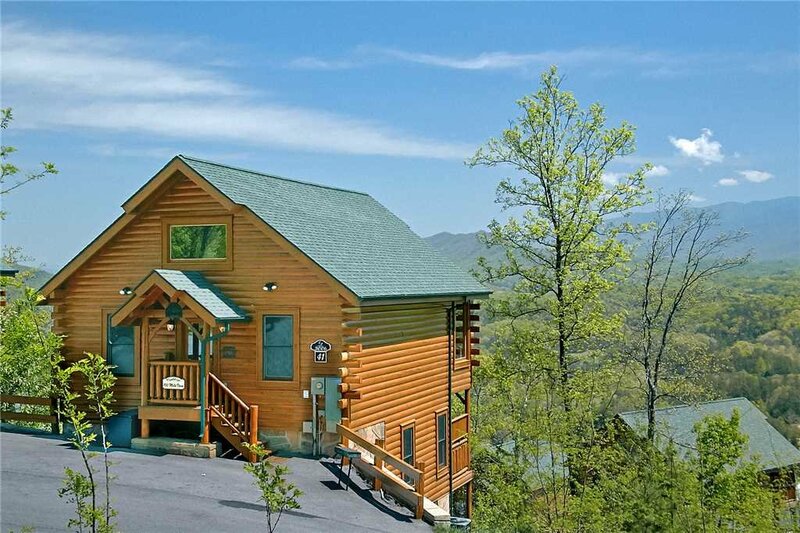 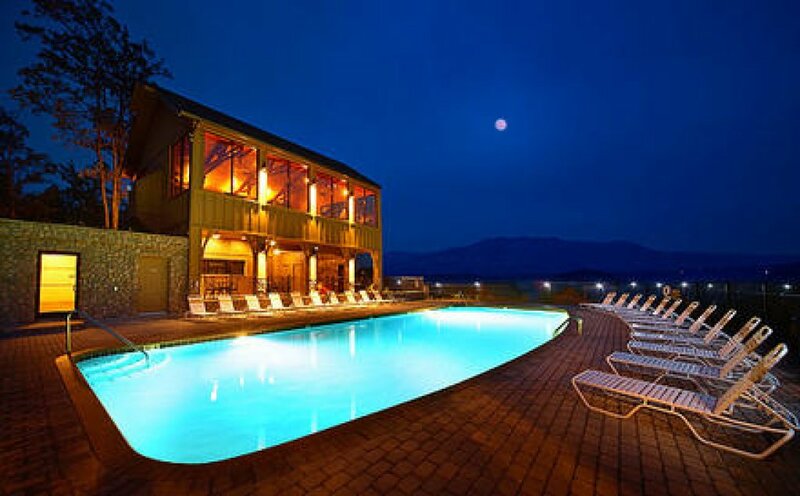 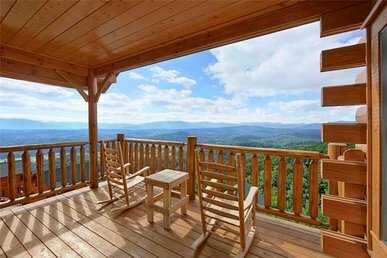 Enjoy your stay in quiet tranquility with majestic views of Mount LeConte while staying at Legacy Mountain Resort. 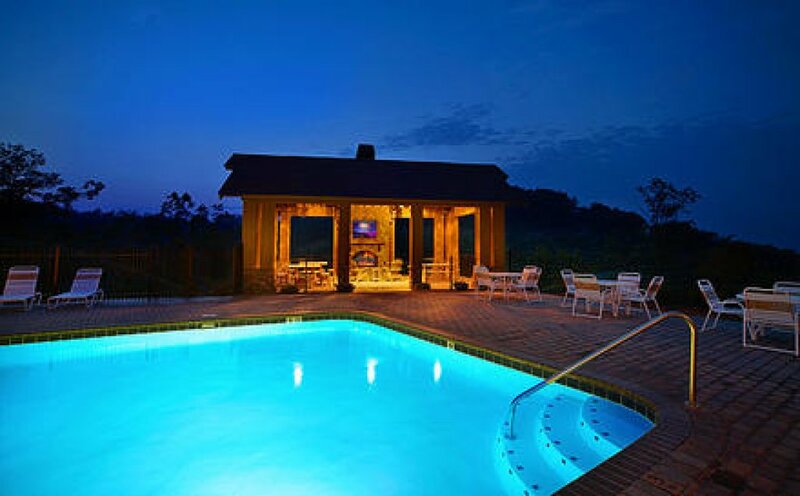 The resort features a seasonal outdoor pool, sauna, and steam room as well as a fitness center and beautiful outdoor fireplace and picnic area. 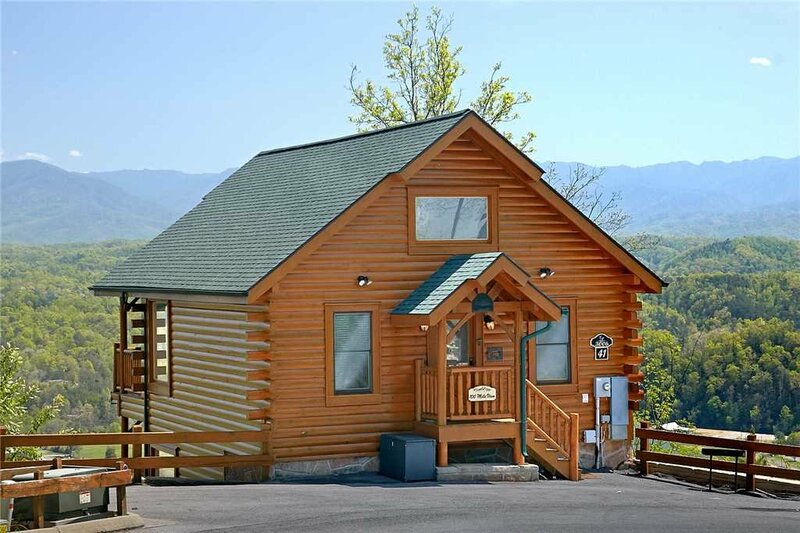 With an easy drive to Dollywood from your doorstep, you can be in the heart of Pigeon Forge within 10 minutes.